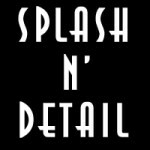 Splash N’ Detail provides the premium yacht finishing service in the greater Seattle area. From buffing, waxing, polishing to oxidation removal Splash N’ Detail has the expertise to give your yacht the ultimate shine. Splash N’ Detail is well versed in current techniques used to enhance gelcoat and painted surfaces. Splash N Detail offers complete detailing and maintenance programs designed to fit the needs of our clients and accommodate cruising and event schedules. We strive to meet last minute requests and go above and beyond to make your boating experience stress free. Great people! They sure know how to detail boats and the owners are fantastic! they have taken care of my boat when it was at Elliott bay and did a great job.